The original Bioshock came out in the early days of the PS3/Xbox 360 era, just when first person shooters were rising quickly in popularity. Instead of being another on rails FPS like the Call of Duty series or an open world one like Far Cry 2, it was a straightforward game that encouraged you to explore. However, the biggest difference is that the world you played in was unlike anything you have ever seen. The underwater city of Rapture was an amazing sight, and playing it was genuinely creepy. So much detail went into the design of the game that it is widely considered one of the best FPS games ever released, and with good reason. The sequel came out a couple years later and, while still a good game, fell short of the original. It was more of the same, but with a few minor improvements. When the reaction to the second one wasn’t quite what they had hoped, the developers decided to tell a new story in a new location. The end result is what I consider to be one of the best games of this type to come out in recent memory. Instead of taking place in the dark, atmospheric underwater utopia of Rapture, we are placed in the bright, happy floating city of Columbia. At least it appears happy. It’s citizens are all part of what is basically a religious cult led by the messed up Father Comstock. You play as Booker DeWitt, a man on a mission to rescue a young woman in order to wipe away his debt. Once you’re accused of being a false prophet, the s**t hits the fan and you are fighting through the city both fighting for your life and the life of Elizabeth, the girl you were tasked with rescuing. Make no mistake though – while you don’t actually control Elizabeth, she provides so much help that she becomes a very integral part of the game. So much, in fact, that during the times she is not with you, you miss her. Also, she is not the typical NPC that follows you around constantly. If you put the controller down and not move, she will actually wander around looking for coins and lock picks for you to grab. She also displays genuine emotion – if you’ve done something that upsets her, she will glare or scowl at you and refuse to look you in the eye. 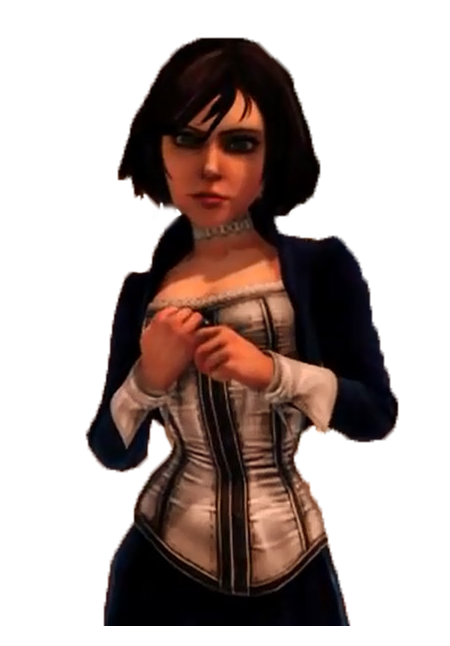 It’s all quite amazing to watch, and as great as the game is, the Elizabeth character makes it that much better. As for the gameplay itself, it pretty much flawless. There is a few hiccups here and there, but they’re not easily noticeable. The game is also fairly challenging, even on normal difficulty. The only real issue I had was with the actual ending, which was a little convoluted for me. That’s not to say it wasn’t good, I just didn’t understand some of it. I highly recommend this game to everyone, not just for being a fun game, but for having a great story. If a Bioshock movie ever does get made, I hope they base it off this chapter instead of the Rapture games. There is so much more story to tell in this universe!